The first grade grandparent’s program is always an SBS favorite! Dream BIG: What I Want to be When I Grow Up showcases our talented SBS Class of 2030 and their BIG dreams for the future. In first grade, our students learn how God has BIG plans for their lives and the various jobs they can do to glorify Him. 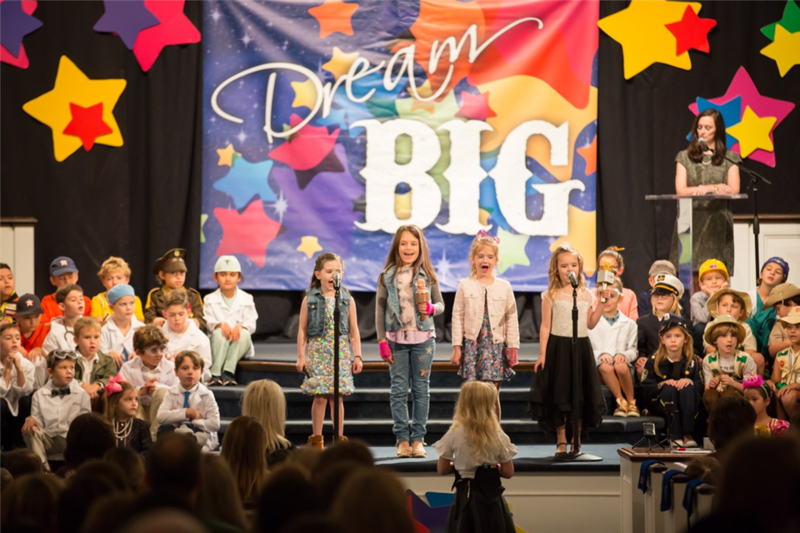 In the Dream BIG program, students proclaim what they want to be when they grow up and sing songs about how God holds their future in His hands. This year, the Class of 2030 showcased many different careers. They dream of being doctors, athletes, teachers and even a spy! Students joyfully performed songs that include When I Grow Up, I Am a Promise and I Wanna Be Like Jesus to the delight of parents, grandparents and special guests. The Class of 2030 is going to do BIG things – just wait and see! Careers included: race car driver, baseball player, golfer, basketball player, football player, football team doctor, cheerleader, equestrian, heart surgeon, veterinarian, dog trainer, zoologist, herpetologist, archaeologist, paleontologist, military general, police officer, spy, scientist, astronaut, inventor, engineer, lawyer, author/illustrator, Disney cruise director, singer/pop star, fashion designer, artist, art teacher and teacher. Click here to see photos from the first grade Dream BIG program.